Puma shows are often a bit wider than other brands. Because of that they are perfect for wide feet. 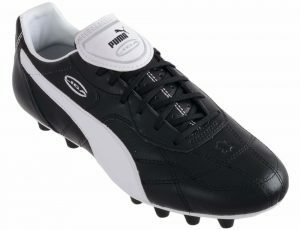 In this article I’ ll make a top 4 of Puma wide soccer cleats. 1. Evopower (Vigor) for wide feet. This EvoPower line from Puma is developed for wide feet. The Vigorline has different varieties, from Vigor 1 to Vigor 4. This cleat is made to generate more shot power and precision. 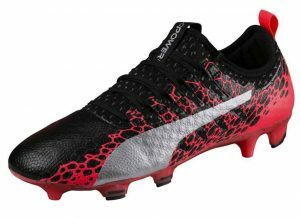 The upper side of the cleat is made made on the ‘adapt lite’ principle from Puma. The cleat will move smoothly in any movement. This cleat is fit for the wide foot. 2. King for wide feet. 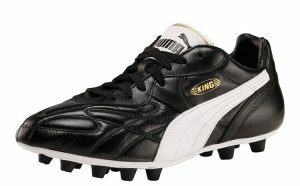 This King from Puma is lika an old friend. It has a classic appearance and is beautiful finished with golden details. Besides this, the cleat is perfect for wide feet. The cleats are made of high quality calf leather. This soft leather will fit to the shape of the foot. 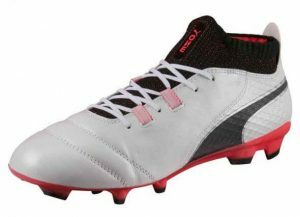 These soccer cleats of Puma are regularly on discount. 3. One Edition for wide feet. This Puma cleat from the One 17-line is perfect for wide feet. The cleats are made of high quality materials. The leather is also premium as it is thin. Because of this you will have a good touch when you take a ball. We also see the included sock on this cleat. This will give your foot a better fit and stability. This cleat is recommended in different varieties, especially the One 17.1 and the One 17.2 because these are made of leather. 4. King Liga Classico for wide feet. This cleat has, just like the King, a classic look. But don’t be mislead by it’s look, because this is a very nice cleat. For people like me, this cleat is perfect, because I have wide feet. The cleat is made from leather, premium quality, but has a low price. These cleats are regularly available on discount. I’m looking forward to renewed version of this Classico. This was my Puma top 4! If you have other suggestions or complains about these cleats? Let me know in the comments. This blog is composed by a football lover and a podiatrist. We are glad to help everybody by finding their perfect soccer cleat.